Congratulations to Sam Sailors on the selection of his Miata racers as the January Miatas of the Month! It all started when my father brought up the idea of combining my passion for art and racing with his new business, LP3 Lightspeed technologies, Produce Protect Perform. He thought that it might be a marketing opportunity for his company and a way for me to pursue my racing passion. 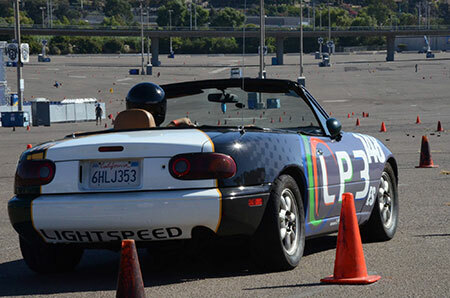 We had purchased a couple NA Mazda Miatas a few years back for autocrossing and daily driving, the combination of lightweight and inexpensive chassis was too hard to pass up. Rusty (my father) assigned me the task of coming up with a livery that was both eye-catching and marketable. I have a background in transportation design and immediately got to work with a pen and paper to sketch out a few concepts. My dad is incredibly detail oriented and every time I would present a new concept to him he would have several changes in mind. I was doing each of these concepts by hand and although I really enjoy drawing, the process was taking a significantly long time. 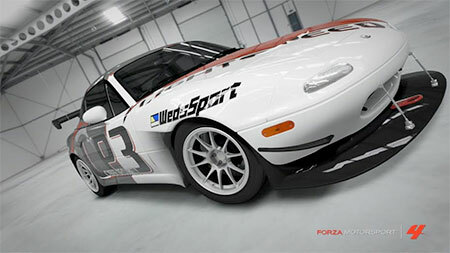 It occurred to me that Forza had a NA Mazda Miata in the game and had a livery editor built in. I had never used the editor before but with a little patience and practice I got the hang of it. Within a few hours I had recreated the latest design that I had done on paper now in 3D! I used “Photo Mode” to take a few pictures, went online to download them and then just e-mailed them to my father. He was shocked at how the simple sketches turned into a close to real life 3d model! Over the following week my father and I worked together and were able to tweak colors, text, position all instantly and in 3d! Once we had a final design in place I contacted a vehicle wrap company here in San Diego and told them what we were up to. I then went back into “Photo Mode” in Forza and took 18 photos of every angle of the car. I gathered up all the pictures and sent them to the graphics artist at the wrap company. We then worked together to get the pictures to fit his programing and print the full body wraps. 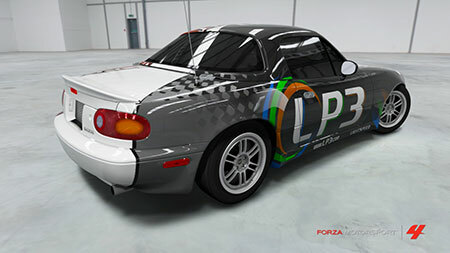 We have taken the process one step further now; I have taken potential sponsor logos and recreated them in Forza, placed the logos on our racecar in Forza and then added the concept photo to our partnership proposal. 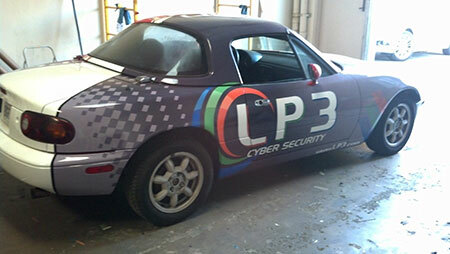 Potential sponsors can now see their logo on our car in a 3d model and it doesn’t cost us anything but a little time. As you can see the process worked! The time it took to get exactly what we wanted was cut exponentially down and the process is repeatable. We already have car #2 completed and are working on our 3rd car! I can only imagine how long it would have taken me to change each color, font, position for each car, we must have had 30 or 40 variations of each car before agreeing on a final design. I would still be drawing out each design if I didn’t have Forza to expedite the process.